More and more things are going wireless these days and one of the things we are most excited about are wireless headsets. Yes, they’ve been around for a while now but they just keep getting better and better. If you are still tied down by chords, you are definitely missing out. Today we thought we would break down some of the reasons you should consider getting a brand new set so you can have the freedom that wireless headsets have to offer. Once you put them on and use these babies, you’re going to wonder how you ever went a day without them. Everything is going to be much easier for you than ever and the sound quality is fantastic; can’t really be beat. If you hate the feeling of being tied down then you are going to love wireless headsets. Did someone knock on the door? Instead of need to take off your headset to grab the door, you can take your conversation or music with you. While this may not seem like a big deal to some of you; it’s fantastic if you are busy but want to still be able to Skype with that friend you haven’t seen in years or crank up the music but keep your neighbors from complaining. This is especially nice if you live in an apartment. You can enjoy your loud music without causing issues within your complex, which is definitely something many people would love to be able to do. Let’s face it, as embarrassing as it may be and as much as we may not want to admit it, we have all been literally tied down by chords before. As you are working or trying to get things done, there is pretty much nothing you can do; your chords are bound to at one time or another either get wrapped around your body, stuck on things or get in the way. This can be pretty annoying and when you are wireless, these types of things just don’t happen. No more frustration trying to organize and untangle all of your chords from one another. Your space is going to look much more professional and clean. You ever notice how you hear a hiss when you are using your headphones that have chords? While it may not be that big of a deal, wouldn’t it be nice if you could avoid this from happening altogether? The great thing about wireless headphones is their sound quality; they are truly better than anything out there and they keep getting better each and every year. This means your calls are going to be much clearer and your music is going to be more enjoyable than ever. Ever wanted to clean your room or make dinner while on that important phone call? The bad thing about having chords is that you can only go so far. Yes, there are some long chords out there but at the end of the day, they are bound to cause you problems and you can probably relate to how annoying it is when you accidentally step on your chord or pull it and your set comes completely unplugged or your headset gets ripped off your head. How many have you broken that way? We choose to plead the fifth on that one. If you are sitting in one place, wireless headsets can be plugged in so you can kill two birds with one stone. This means, less time waiting for your set to be ready to use and more time being able to get the most out of it. These things definitely charge quicker than ever and can literally last as much as 12 hours. Can you imagine how much you could get done in 12 hours? You can easily charge your headset while you are sleeping and be able to use them to your heart’s content for the entire following day. If you use your phone a lot, you know just how much of a strain that you can put on your neck. Even short periods of time can cause problems and you are probably pretty sick of the pain. This is why wireless headphones are great. Why put yourself through all the pain and hassle when you can comfortably take and stay on a phone call for long periods of time? This is going to mean you can get much more done during a single setting and you aren’t going to feel as tired at the end of the night. You can even get up and stretch whenever you need. David Ashford is a professional tech blogger and is fond of sharing technology tips through his blog. 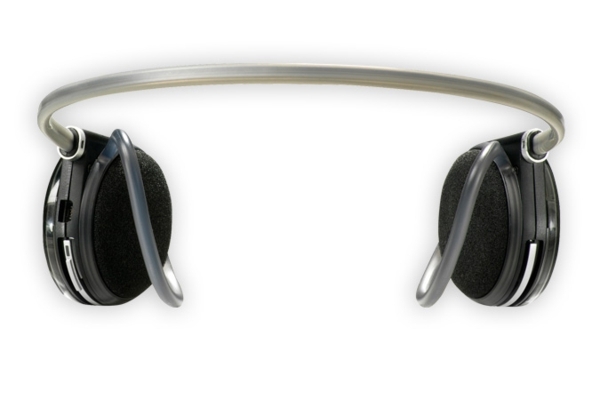 He recommends purchasing bluetooth headset from Australia’s leading Headsetsonline company.